The late money came for her and she duly delivered. Rizeena wins again. Clive Brittain reckons the Queen Elizabeth II Stakes on British Champions Day might be Rizeena's chief end-of-season target now. The Clive Brittain-trained Rizeena bounced back from a disappointing run in the QIPCO 1000 Guineas to win the feature Group One Coronation Stakes under Ryan Moore. Brittain, who is 80, is the oldest trainer to have saddled a Royal Ascot winner in modern times and he was confident beforehand. “I wasn’t worried about the race,” said Brittain. “They could have walked – she is a great walker – and she still would have won. They could have trotted – she is a great trotter - and she still would have won. But they galloped and she still won. We had covered every angle. All she had to do was turn up and show what she could do. She always had the lead horse in her sights and when she decided to pass her, she did. “Days don’t get better than this and I think we will come back here for the big meeting and the Queen Elizabeth II Stakes. Why not? I wouldn’t be against taking on the colts again. Ryan Moore, who took the lead in the QIPCO Leading Jockey at Royal Ascot table, after his third victory of the week said: “She was the best two-year-old filly last year and she won the Queen Mary and a Moyglare. It’s good for her to come back and I am delighted for Mr Brittain and his team – it’s a great day. “There was no pace – it was a crawl and ridiculous, really. We went quicker to the start then the first quarter-mile. A messy race, I was able to get a nice spot but I was in front earlier than I ideally would have liked to have been. “She doesn’t want to be in front that soon but my hand was kind of forced. It was a long way, that last furlong, but she was the fastest in the race and just did enough. “She does not do a lot when she gets there. It is great that she has come back to form and she is top-class. “I was puzzled with her performance in the 1000 Guineas – she ran seventh and I thought she would be involved (in the finish). She has never run a good race at Newmarket – that was the first thought. She had a little setback then and maybe there was something hanging over her. “Her work was good leading up to the Guineas and it was same before here so we were not sure why she disappointed. Today she put it all together. She is quite a big filly and needs the sting taken out of the ground. Lesstalk In Paris bounced back to form after a disappointing run in the Poule d’Essai des Pouliches (French 1,000 Guineas) with a solid effort this afternoon, staying on strongly at the death to go down by three quarters of a length behind eventual winner Rizeena. The 15/2 shot was found to be in season following her most recent run at Longchamp and trainer Jean-Claude Rouget was relieved that she’d shown something near her best today. “We almost won but I am relieved that she’s run well here,” said Rouget. “She was found to be in season after her Longchamp run which went some way to explaining her poor effort but it’s nice she showed her real form here. “I was also a bit worried as the form line of the Pouliches isn’t that good but she’s a good filly and I hope she can win a good race this year. Marco Botti, trainer of the third-placed Euro Charline, revealed that his filly will now be heading to America after this run. “I’m delighted with her run but she’s going to America now,” said the trainer. 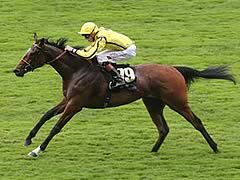 “Her owners (Team Valor) want her to run in the States and have a race at Saratoga in mind later in the year. She will run for me in that race and then she will stay over here. The Coronation Stakes was first run in 1840, and its title commemorates the coronation of a new British monarch, Queen Victoria, two years earlier. The present system of race grading was introduced in 1971, and for a period the Coronation Stakes held Group 2 status. It was promoted to Group 1 level in 1988. The Coronation Stakes is now contested on the fourth day of the five-day Royal Ascot meeting. It usually features fillies which ran previously in the 1,000 Guineas, the Poule d'Essai des Pouliches or the Irish 1,000 Guineas. The most recent filly to follow up a win in one of those races with victory in the Coronation Stakes was Sky Lantern, the 2013 1,000 Guineas winner.